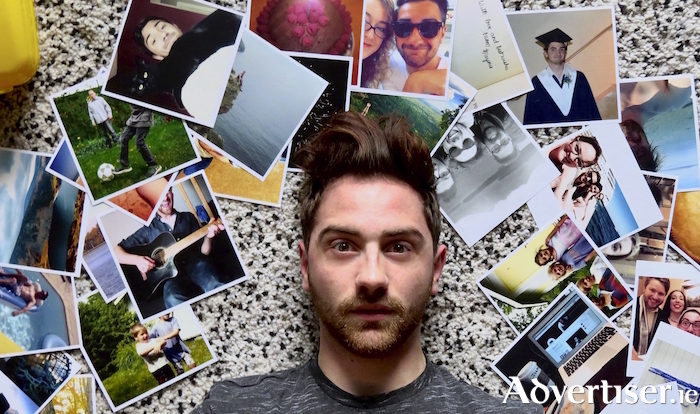 The world premiere of Niall Carmody's ARBITRATION (or a life worth living), performed by Jérémie Cyr-Cooke, and staged by Brick Wall Theatre, will take place at the 2019 Galway Theatre Festival. Brick Wall Theatre will present the world premiere of Niall Carmody's ARBITRATION (or a life worth living ). Performed by Jérémie Cyr-Cooke, this funny, quirky, play investigates our need for social approval - creating a dystopian world, where citizens must prove their worthiness or be burned alive. Rooted in reality is Elaine Mears Are You There Una? a reclamation and restoration portrait of the late Una Taaffe, using collected stories, interviews, personal memorabilia, and fragments of memories of Una, as a means of peeling back the layers of myth and finding the real person beneath. Exit Does Theatre brings feminist, pacifist, and socialist Francis Sheehy Skeffington to life, in Donal O’Kelly’s poignant drama, Hairy Jaysus, dealing with the events of 1916 and Skeffington's execution by the British. The great Steven Sharpe [pictured above] will present The Realness of Miss Representation, a heartfelt and hilarious autobiographical look at being a 30-something-year-old gay man in a post-Yes Equality Ireland. The stark reality of life in the direct provision system is brought to light in Behind Closed Doors! Presented by Vision Nation, a collective of people living in the direct provision centres in Galway, this piece invites us to reflect on the dehumanizing and disempowering system of direct provision. Galway Community Circus’ 4 Elements, a family show by the youth performance troupe, links the four elements of earth, air, fire and water. Connection +/-, presented by the Black Phone Box, captures true stories, short plays and musings on connections, both lost and found. Made In Galway will focus on work under development, including Garraí an Ghiorria’s Clairseach ina tost (The Harp Silenced ) exploring the silencing of the Irish harp by Cromwell; Diffused Theatre Company will ask the audience to choose the ending in The Game of Claire; Sense and nonsense will be explored MMM Theatre’s Also For Roaring; while dance and poetry combine in Between Language and Limb, presented by Patricia Glynn, Geraldine Mills, and Celina Jaffe; while David Joyce presents a rehearsed reading of A Body of Water.